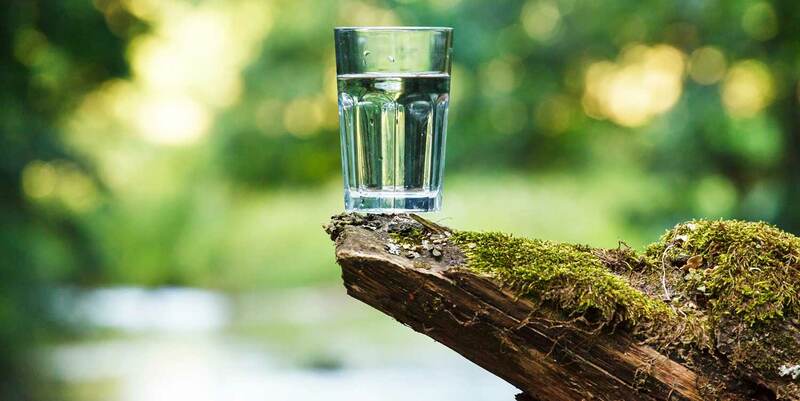 Blog » Diet » Does Drinking Water Help Acne? I’m sure you’ve heard the typical advice of drinking eight glasses of water a day. It’s thrown around so frequently, that water might as well be the cure for everything, including acne. At this point you’ve tried numerous acne medications without much luck and you’re willing to try anything. Could drinking more water be the solution you’ve been looking for all along? About 60% of our body weight is water, which makes drinking water quite an important part of our daily routine. So let’s take a deeper look on the subject and see how it affects our skin and acne. Water helps moisturize the skin and allows the skin to function normally. It does not, however, cure acne or acne scars. The American Academy of Dermatology (ADD) does not recommend drinking more water for the sole purpose of healing acne, as there is no reason to believe this. Like all other organs, our skin is made up of cells, and all cells need water to function well. But all organs differ in their water content – the skin containing up to 64% water. This means, that the skin does in fact need a daily supply of water to stay healthy. Dehydration, or not drinking enough water, can promote cellular damage and slow down healing. Practically all diseases and health conditions, including those of the skin, can worsen without ample water and nutrition. All dermatologists agree that drinking water is only one part of the equation. The skin gets hydrated and moisturized not only from the water you drink, but also from the moisturizer you use for your skin. A common belief is that drinking high quantities of water will flush out toxins from your body, thereby also reducing your acne. Your body has several routes for eliminating toxins and waste products. These include your lungs, kidneys, bowels, and even the skin to a small degree. 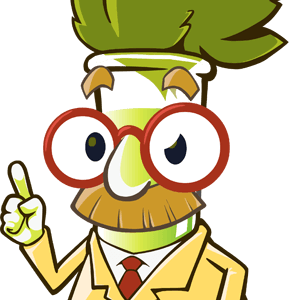 The claim is that most waste products leave the body via the kidneys and bowels, but in certain circumstances (i.e. unhealthy diet, lack of water, overexposure to toxins), the kidneys and bowels get overburdened. When this happens, the skin then takes over the excretion of these toxins and waste products. This is one of those claims that builds on a kernel of truth and yet completely misses the point. The point is that unless you are dehydrated, drinking more water won’t necessary speed up the process of eliminating toxins. Sweating more (i.e. exercising or going to sauna) is what contributes this process. The conclusion is that drinking water does not heal or even prevent breakouts. As mentioned above, drinking water is good because it hydrates all your organs and provides moisture to skin cells. But again, this is only ONE piece of the puzzle, and water alone will not cure nor prevent acne. Keeping yourself hydrated does help your skin stay moisturized to some degree. But it’s important to note that this does NOT directly affect your skin’s oil production (sebum), which is the main culprit in many cases of acne. 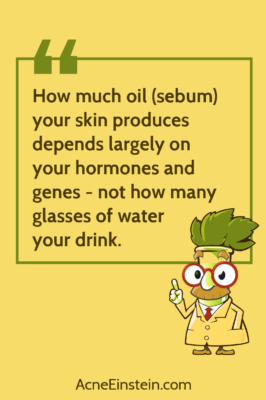 How much oil your skin produces may depend largely on your hormones and genes, but not on how much water you drink. 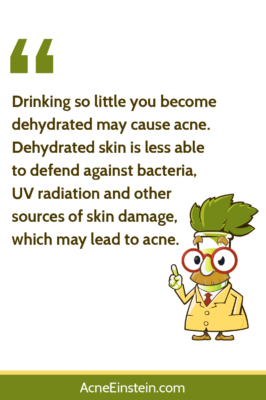 Drinking excess water may not help acne, but failing to drink enough or becoming dehydrated may cause acne in some cases. Dehydrated skin is less defensive against bacteria, UV radiation, and other sources of skin damage that can lead to acne. Does Drinking Water Help with Acne Scars? The short answer? No. Drinking water does not directly remove acne scars or even acne for that matter. Aside from supporting general health and simply allowing the body’s natural healing process to run its course, “drinking lots of water” won’t do anything for your acne scars. If only it was that easy! Does Detox Water Help Acne? Detox water is popularly thought to have many amazing benefits. From weight loss to skin health, it sure seems to be the solution. It is marketed with the claim that since we are now exposed to more toxins than ever before, our eliminatory system cannot cope with the increased toxin load. As I’ve discussed elsewhere on the blog The Detoxification Fallacy, this is patently false. Many detox water products contain lemon, lime, or other citrus fruits with a high Vitamin C content, which is known to support normal skin function. Vitamin C has many protective antioxidant and anti-inflammatory effects that lower the risk of skin damage. This in turn can make the skin less prone to the inflammation that leads to acne. Considering the various ingredients you can put in a bottle of detox water, it is possible that this rich source of vitamins may help, but only to some degree. You are essentially paying for overpriced multivitamins. Is Tap Water Harmful for Acne? If you live in an area where tap water is potable, it’s unlikely to cause acne or other health problems. In some areas, tap water may contain disinfecting chemicals including chlorine and sometimes fluorine. Chlorine can react with other compounds to form chloramines, which are under suspicion to be harmful to human health. Additionally, pesticides and herbicides from farming might leach into the soil, contaminating the water supply. Essentially anything that gets into tap water, also gets into your body and your skin. Disruptions in gut microbiome have been linked to acne and may contribute to hormonal imbalance in your body. As many acne sufferers know, hormonal imbalance plays a big role in acne breakouts. Although it is very unlikely that tap water causes acne, especially when it comes to moderately disinfected tap water, it still helps to take extra steps to purify your tap water. 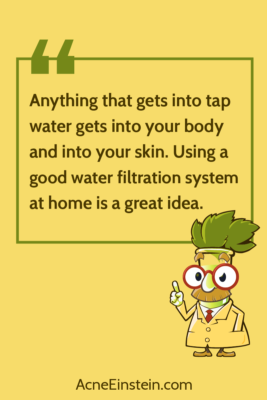 Using a good water filtration system at home is a great idea. If the cure to acne would be as simple as drinking more water, nobody would suffer from acne anymore. Water does not directly help acne, but keeping yourself hydrated may contribute to certain skin benefits that may lessen acne. Remember that acne-affecting factors are different for each individual. 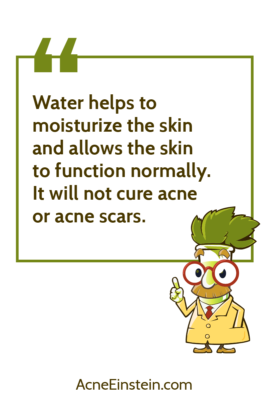 So keep yourself hydrated, but do not think of water to be a magical cure for acne!